Reiki Distant Attunement - To practice Reiki a student must first receive instruction and an attunement(s). An attunement is a small ceremony that a Reiki Master and student take part in which can be done in person or distantly. The Reiki distant attunement is a powerful clearing of the students energy channels so that the student is able to channel more energy through their body than they were previously able to do and thus increase your ability to help yourself and others. With each attunement you receive the more balanced and clear you will become. The minimum recommended time in between attunements is 30 days. After a Reiki distant attunement you will go through a 21 day cleansing process that will clear and balance your body, mind and spirit whether the attunement is done in person, by yourself or distantly. - BOOK NOW! The attunements are the main initiating process that Reiki students experience in order to attain any of the three Levels in Reiki and become Reiki practitioners and Masters. Many things in Reiki have changed recently. Reiki is evolving and has experienced significant growth in the 1990's. The Reiki distant attunement and Self attunement process's are relatively new and started with the 1990's growth of Reiki Masters who went exploring off the beaten path and developed new techniques which lead some to introduce Reiki distant attunements on the internet where distance is an illusion. Part of what I teach my Reiki students is "Distant Healing" a technique that has always been a part of Reiki and with this concept it came to be understood that a distant attunement would be just as effective. There are still some traditionalists who believe that Reiki distant attunements are not as effective or as strong as a one on one attunement. Before I started teaching and practicing Reiki Distant Attunements I experienced both "in person" and Reiki distant attunements, yes- you can re-do your attunement, and have done self attunement and I found that they all work equally well. - BOOK NOW! The amount of energy flow a person who has had an attunement has depends on how much Reiki the person who has had the attunement does. 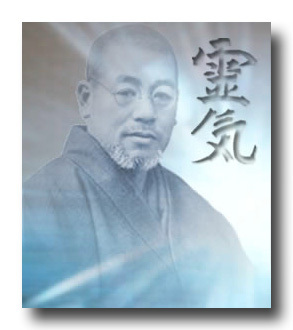 The more we practice Reiki the more Reiki flow we will have. Should you feel the need to have your attunement re-done it would be my pleasure, click here and make your booking, after which you will be given the opportunity to advise me what day and time would suite you. After completing the attunement ritual I generally take some time to ask my students how they feel and I have never heard the same result twice. A Reiki Attunement is a very personal moment for each and every student and the "feelings" my students feel seem to be governed not by the method of attunement but by the individuals level of sensitivity, the amount of time they have spent working with energy healing and the amount or practicing they have done prior to the attunement. The truth remains indisputable, the Reiki Attunement process no matter how done works and is permanent. For Reiki attunements I teach and use the Reiki Breath to send the symbols and energy to the correct location and time for the the recipient of the Reiki attunement. Reiki attunements are done on an energetic level rather than a physical one. The only physical touching would be the tapping of the hands and a touch of the shoulders, which is optional and not vital to the attunement processes, as all that is happening is at an energetic level. The recipient's intent to receive the Reiki attunement. Should you wish to have a Reiki Distant Attunement you can book it online, choosing the day and time, at least one week in advance which I will confirm within 24 hours of notification. Time differences between countries are not important. It does not matter where you live on the planet, you will be attuned at the time you have booked for. You will receive your certificate from Healing Journeys Energy within 7 days of your attunement. See for yourself what Reiki level one will do for you. This Reiki Attunement connects you to the universal source of healing energy which you can then start to channel. You can use this to help heal others and heal yourself. Reiki is a great tool for strengthening your own natural healing gifts and empowering your life on many levels. Each level of the Reiki attunement process will also strengthen your auric field and natural alignment to your subtle bodies. Continue with your Reiki training. The second Reiki Attunement deepens your connection to the universal source and strengthens your ability to channel the energy naturally. Reiki II introduces the Reiki Symbols which also allow healing to be directed to emotional/mental issues and across time/space. You can use this to do your own healing work no matter where the recipient is physically located in the world. Go on to become a Reiki Master Healer.. The final Master Attunement further strengthens your connection to the Reiki Source. In addition, you are taught the final symbol which empowers you to pass on the Reiki Attunements to others. (It is also very good practice to study all the Reiki Manuals thoroughly, so that you are familiar with every aspect of Reiki - before you start to attune others).